Opened in 2003. Newly renovated in 2010. 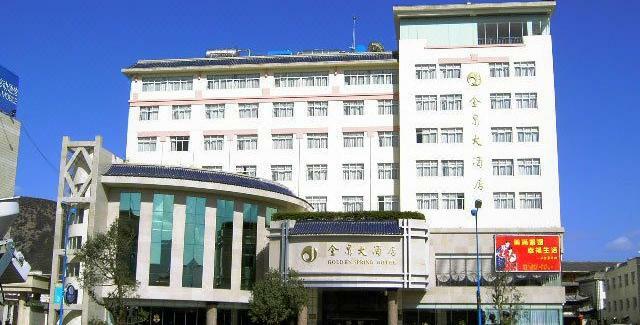 The Golden Spring Hotel has put effort into its décor boasting hardwood floors and faux Ming Dynasty furniture. It's walking distance from Old Town and there's a nice garden next door. 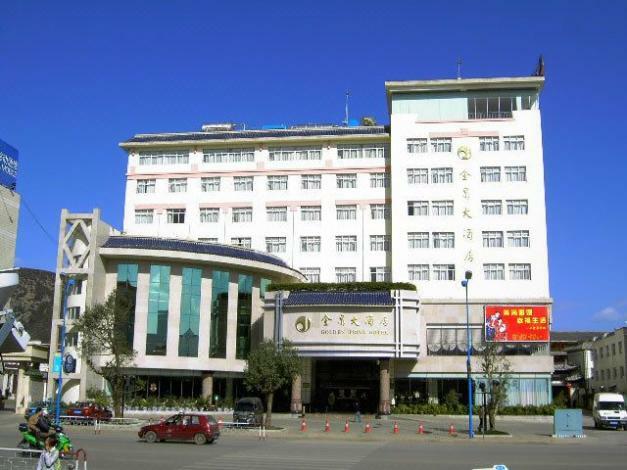 It also has one of the cheapest 4-star hotel breakfasts (Chinese or Western for RMB 20) in town. Guest rooms and suites come equipped with all the standard amenities including free Internet. Hungry guests at this Lijiang hotel can dine on Chinese or Western cuisine at the on-site restaurants or order in for more privacy. Drinks can be enjoyed in the lobby bar or coffee shop. Meeting facilities and a business center are on offer for guests' convenience. When it comes time to relax, guests at this Lijiang hotel can enjoy the courtyard, get a massage, use the steamy sauna, use the fitness facilities or play a game of pool or ping pong.